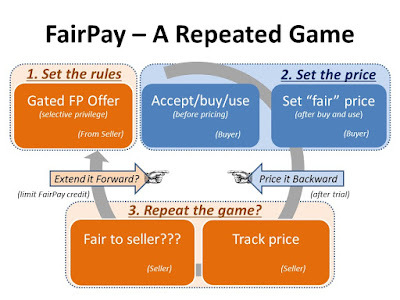 One of the common concerns sellers have about buyer-set FairPay pricing is that they will lose control and predictability in their pricing and revenue. I suggest this is actually much less of a problem than it might seem, in spite of the buyer freedom to "pay what you think fair." There are a number of aspects to this issue, but one especially powerful strategy deserves greater attention. When making the offer, provide the suggested price schedule, so the buyer has a clear idea what you will be expecting. The buyer can still be completely free to price as he feels fair, but will know the seller's reference point. Provide a price-setting form that presents the suggested price and its rationale, and asks the user to set a price as the suggested price plus or minus a differential (whether a percentage or a dollar differential). Include in the form a set of multiple choice (and optional free text) inputs to enable the buyer to explain the reasons why he thinks the differential is fair. Depending on what is already in the suggested price rationale, these reasons might relate to additional aspects, such as usage/volume, product value perception, buyer circumstances, problems, etc. 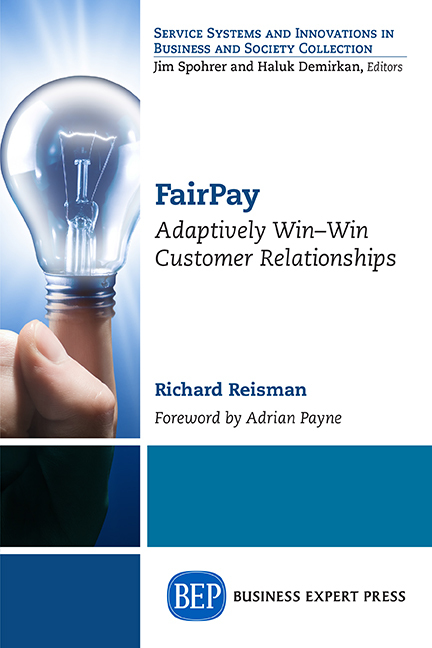 Determine a fairness rating for the price (the differential), as explained by the buyer -- unfair, marginally fair, fair, very fair, generous, etc. This provides a shared frame of reference that can guide the buyer to price more or less closely to the suggested amount, and provides a basis for communication and judgement as to the fairness of any differential. The seller controls an offer management process that stages their offers in an ongoing relationship (such as a subscription). That staging enables the seller to limit the value at risk (at any given stage) to buyers who have not established a reputation for paying fairly, and to extend that as the relationship warrants. Offers can be managed to limit the value of the unfair exceptions, and to minimize their number. 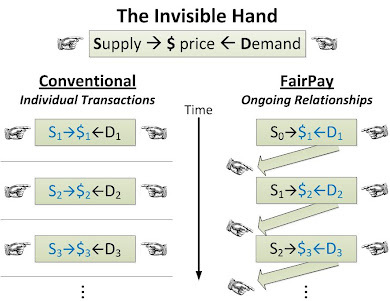 With this combination of offer framing, suggested prices, and feedback-driven incentives to price fairly, sellers should generally obtain FairPay prices that average very near to their suggested prices.